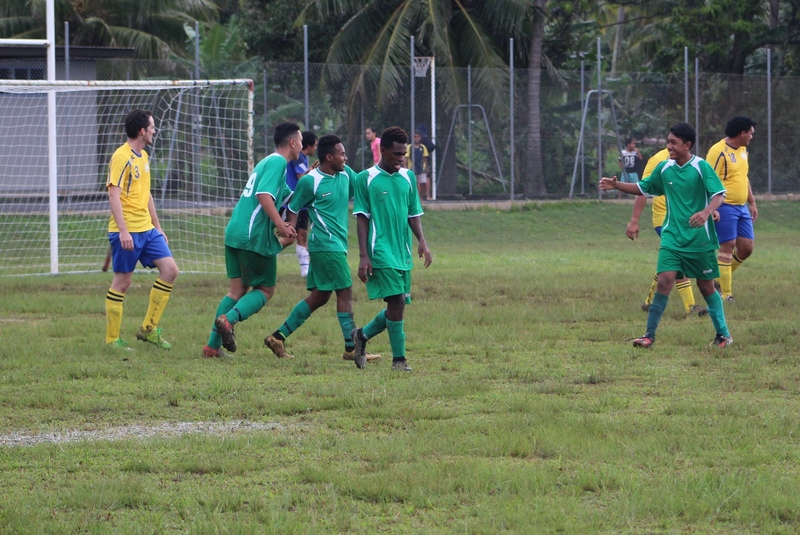 The showdown between Nikao Sokattak and Matavera will be cranked up a notch this afternoon as Alex Napa prepares to face Allan Taylor in another ‘must-win’ match of the Van’s premier men’s competition. The last time the pair clashed in Matavera, the Napa coached-side struggled to put away a thrashing effort against their hosts, and saw the match end in a 1-1 draw. Taylor would love nothing more than to put a dent in the Nikaos’ title charge and improve their sixth sitting on the table. Napa, meanwhile, will be desperate to beat Matavera and better their chances of finishing the season on second. Nikao have the upper-hand with home-ground advantage, but there’s no rational reason to predict a win for the side – they’re fast and quick with the ball- but football doesn’t work with reason. Napa will have to deliver a team talk get the best out of his players today. Matavera having failed to overcome bottom seed Titikaveka in their last game, it is imperative they don’t lose here and it may see the side employ a safety-first approach against Nikao. With the Knockouts just around the corner, all teams will be desperate to win the final feat of their Round Cup campaign. The Nikao Sokattak vs. Matavera match is scheduled to kick off at 4:00pm.